The landmark HarperCollins Study Bible Notes are now available for your mobile device! Completely revised and updated by leading Biblical scholars, this classic reference work includes new introductions and notes, diagrams, charts and maps––25% revised or new material. Study notes are included for the Old Testament, the New Testament, and the Apocryphal books. 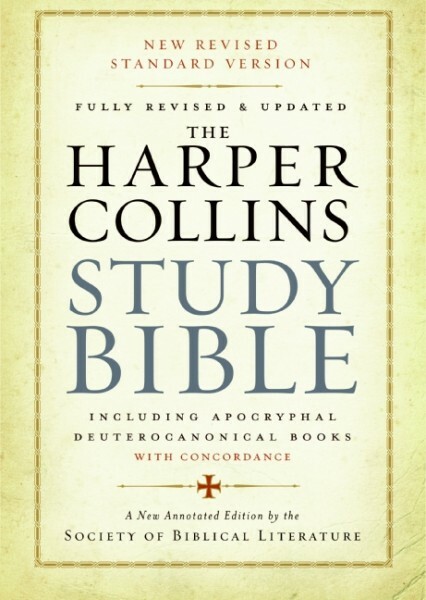 NOTE: The HarperCollins Study Bible Notes product only contains the HarperCollins Study Bible Notes. The NRSV Bible text can be purchased separately here. The NRSV Bible text (or the Bible translation of your choice) uses the Bible Study App’s powerful Resource Guide feature to link these two resources.